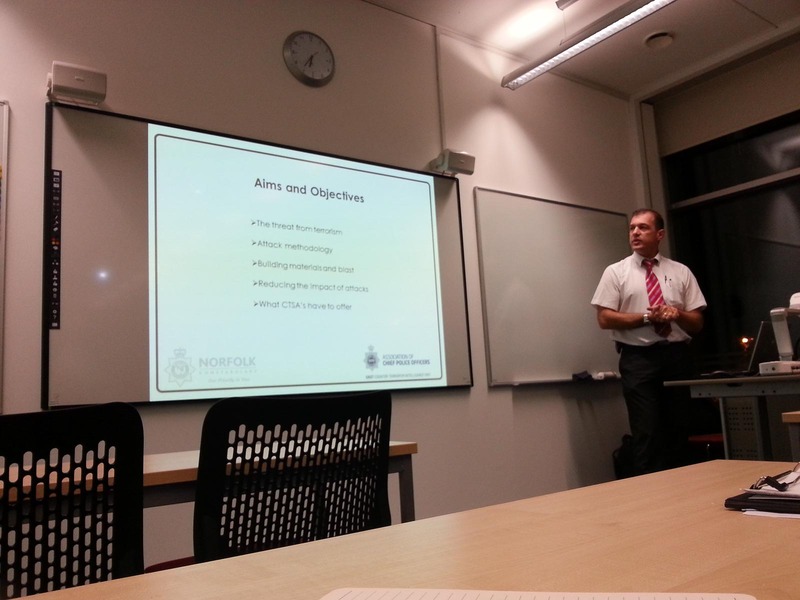 Peter Hawkins – Counter Terrorism Security Advisor (CTSA) Supervisor in the Protective Services Command of Norfolk Constabulary – gave an excellent talk on designing resilience in public spaces last night (4th November). 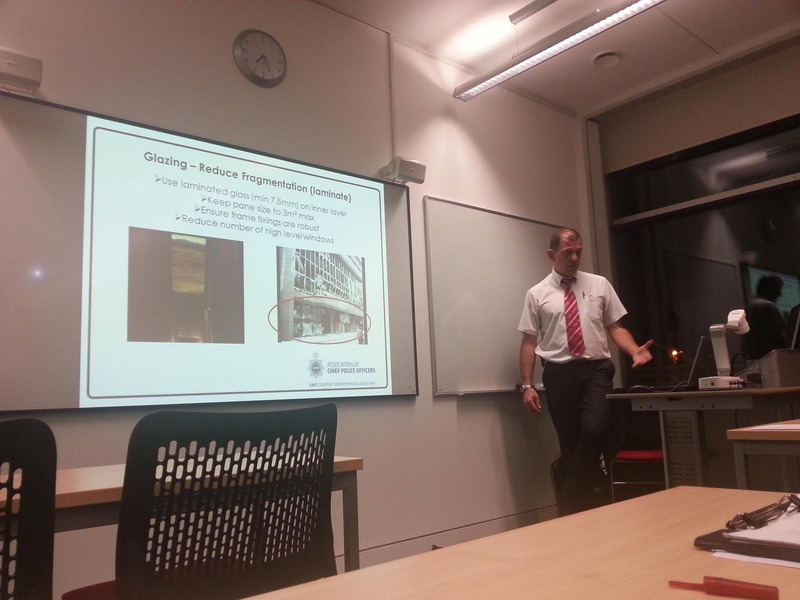 Given to a joint audience of civil and structural engineering members of ICE and IStructE, the event was held at the usual ICE venue of Anglia Ruskin University in Chelmsford. Essex Branch Committee member and Meeting Organiser Norman Chan had been suggesting this topic for the event programme for a while however it was only this year that it finally made the cut. The subject – not something civil engineers probably consider too much – proved really interesting and a change from the usual topics. 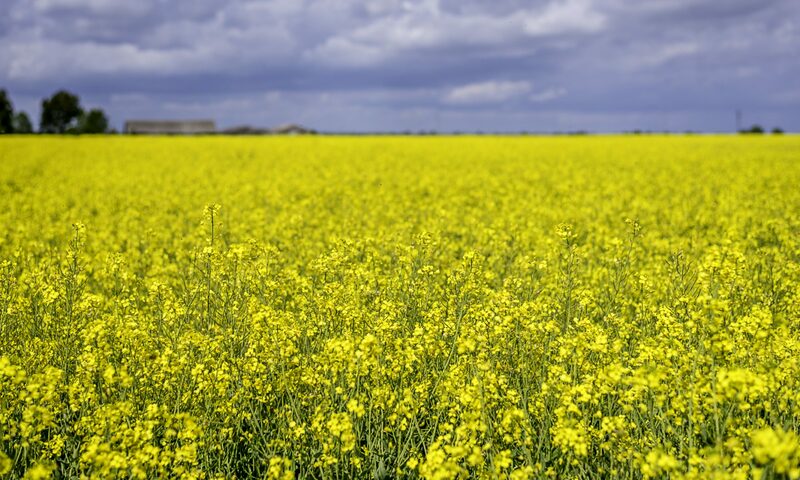 Previous events this year have included talks on the Dawlish Warren emergency railway repairs in Devon and the RSPB reserve creation project at Wallasea Island in Essex. In his talk Peter explained the threat posed by terrorism in public spaces and the increasingly clever and complex methodologies used. With the current UK threat level at ‘Severe’ with only one further level above the threat is very real and needs considering in UK design. 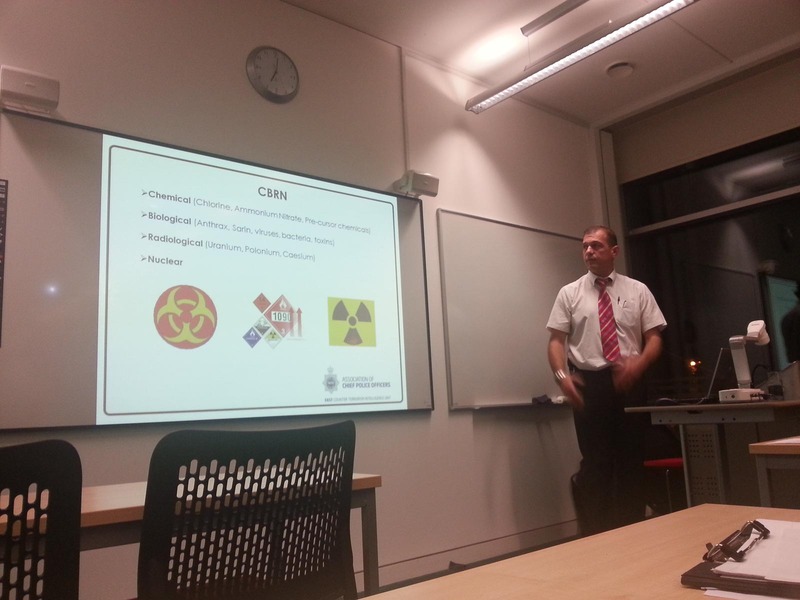 Peter described the various modes of attack used – many of which such as Chemical Biological Radiological Nuclear (CBRN) are difficult to design for. Improvised Explosive Devices (IED’s) either people borne or in vehicles were described as the most common modes and well considered design can definitely be used to reduce the likelihood and impact of vehicle borne IED’s on public infrastructure such as buildings, stations, and critical infrastructure. Peter showed a number of video clips of previous terrorist attacks from around the world including the 1995 attack on the Federal building in Oklahoma City which killed 168 people and injured hundreds. Another that stuck in my mind and demonstrated the ingenuity involved was the 2005 attack on the Palestine and Sheraton hotels in Baghdad. In that attack a first car borne IED blasted a hole in the concrete wall protecting the hotel compound. Soon after another such device exploded in the city nearby as a distraction during which time a concrete mixer lorry packed with explosives drove through the hole in the concrete wall toward the hotels. Fortunately the efforts of security personnel prevented the truck reaching its intended target however the attack still claimed 20 lives and many more were injured. Peter went on describe the relatively simple measures that can be taken during the design to reduce the vulnerability of buildings and structures. He described how clever highway layouts and use of bollards blocks and planters can keep vehicles away whilst the use of laminated glass and/or post applied films to glazing and reduce injury considerably. He also highlighted the unusual loadings that can be applied to structures from explosions including high positive and negative air pressures and hence the importance of robust glass and cladding fixings, plus the need to prevent progressive collapse. Finally Peter provided details of some useful documents and websites where additional information and advice can be found (included below) and reiterated the advice and assistance that CTSAs can provide. Peter closed his talk with the image below of a proposed new building in London asking if anyone knew what the building would house. 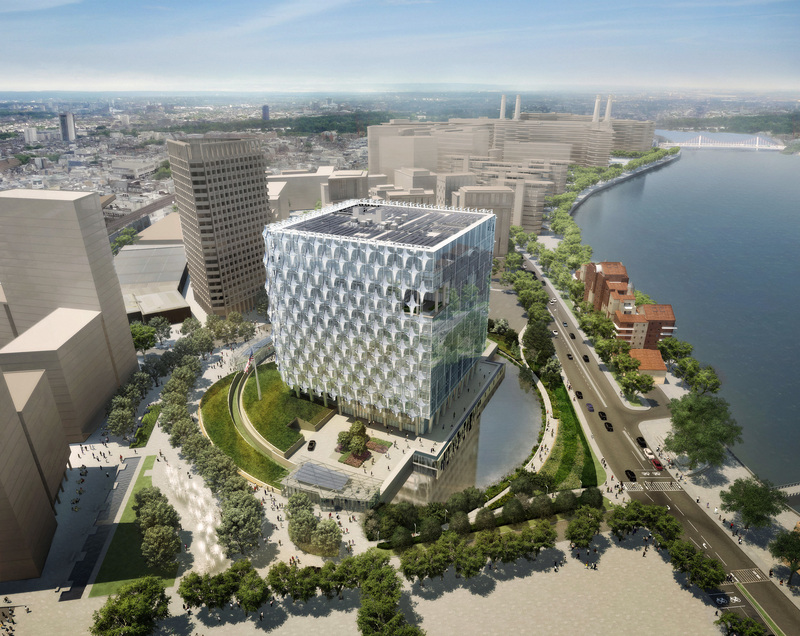 The building is in fact the new American Embassy in London and the extensive ground level ponds and walls form subtle but effective counter terrorism measures. 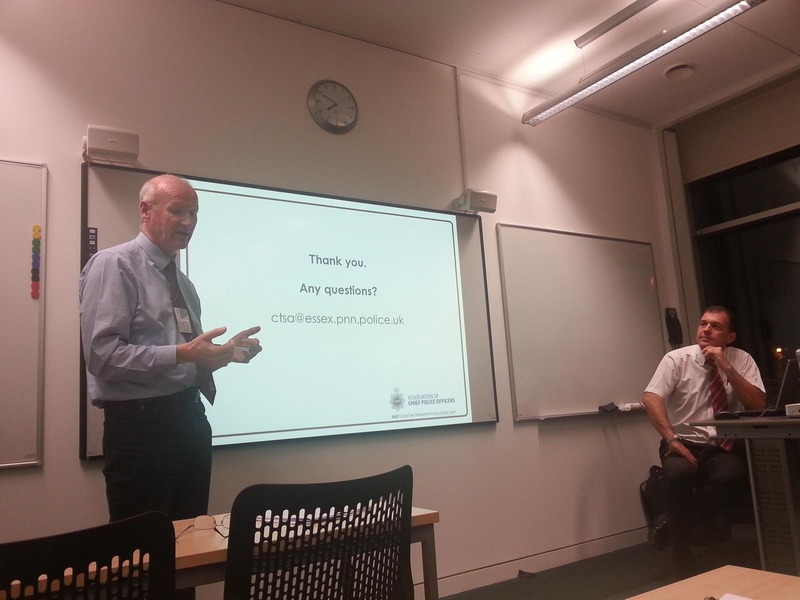 The Q&A session was most enjoyable and I raised a number of points that provoked some interesting discussion. I could happily have spent the next hour with Peter discussing what was a very interesting topic.